Vedic Scriptures other than classic Jyotish books provide rich information that can be used for practical Jyotish use. For example: In Ramayana, when Sage Valmiki descibes the birth of Shri Ram (in Bala Kanda – The Youthful Majesties Chapter 18). 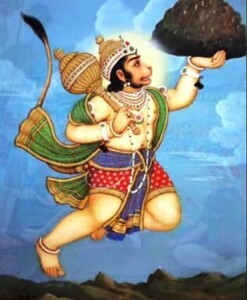 Shri Ram took birth in cancer ascendant, as described by the sage. At the same time, in his excellent book, How to Judge a Horoscope, Dr. B.V.Raman says that: natives born in cancer ascendant have Long Arms. Both Confirming the same physical characteristics of cancer ascendant born natives: that they have long arms. This may sound very small information, but for Birth Time Rectification, it can be of immense help to identity cancer ascendant born natives, especially when an astrologer just has birth date and birth place and some images of a native and the native is not available to discuss anything with the astrologer. 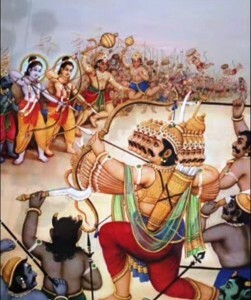 In the same manner we can also interpret the meaning of Kuja Satmbhana ( dousing the fire of Mars by Rahu) by analyzing the war that took place between shri Laxmana (Mars, Shri Ram’s younger brother) and Meghnath (Rahu, son of Ravana) when Meghnath uses foul and deceptive means and heavily injures Shri Laxmana. In Jyotish when Rahu and Mars are together it is called Kuja Satmbhana ( Rahu extinguishes the fire or Mars and makes it very weak). In Jyotish Rahu and Mars Combination is also called Jai Yoga (Final Victory). Rahu can cheat and deceive Mars but cannot beat Mars in the battle. Rahu can surely give death like experience to Mars but cannot kill him. 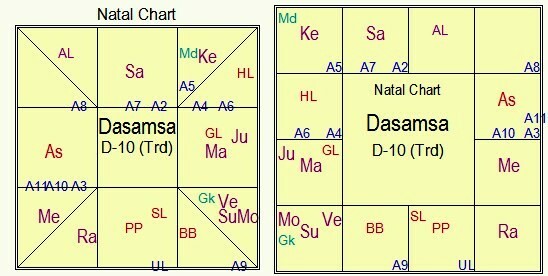 We know that Mars has Dig Bala in the 10th H, the presiding deity in the Dig Chakra is Yama (the God of Death). So Mars is blessed by Yam Raj. If Rahu tries to kill Mars he will be surely unsuccessful. On the other hand, if needed Mars can be completely ruthless and can dash to ashes all his enemies. By analyzing the war that took place between Shri Laxmana (Mars, Shri Ram’s younger brother) and Meghnath (Rahu, son of Ravana),we know that Meghnath uses foul and deceptive means and heavily injures Shri Laxmana. Then Shri Laxman was saved by miraculous efforts of Pavan Putra (the son of Wind God), Shri Hanuman who brought the sanjeevani booti (life saving medicine) for him and saves his life. After quick recovery Shri Laxman resumes the dual with Meghnath and finally kills him, rendering the army of Ravana miserable. So finally Mars wins ! 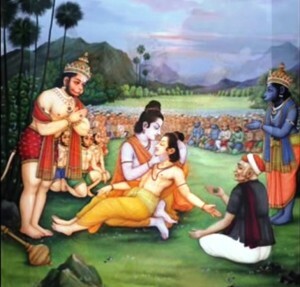 Classical definition of Jai Yoga is: when 6th lord of enemies is very weak (ideally debilitated) and 10th lord of achievements and success is exalted. 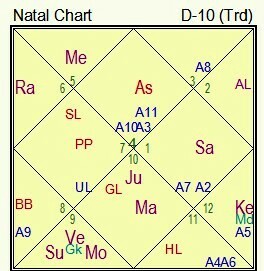 We can see this yoga in the Dashamsha (D10) chart of Ex US President George W. Bush who ruled United States of America for two consecutive tenures from 2001 to 2009.